In What ways Wood can be used to decorate the Interior of your House? When it comes to preparing the interior of a house, the wood comes as first and frequently used material for its versatility, decoration and functionality. From ceiling to floor, you can see that wood is somehow involved in the decoration of your house. These days, a house decorated with different types of wood is considered more trendy and luxurious. 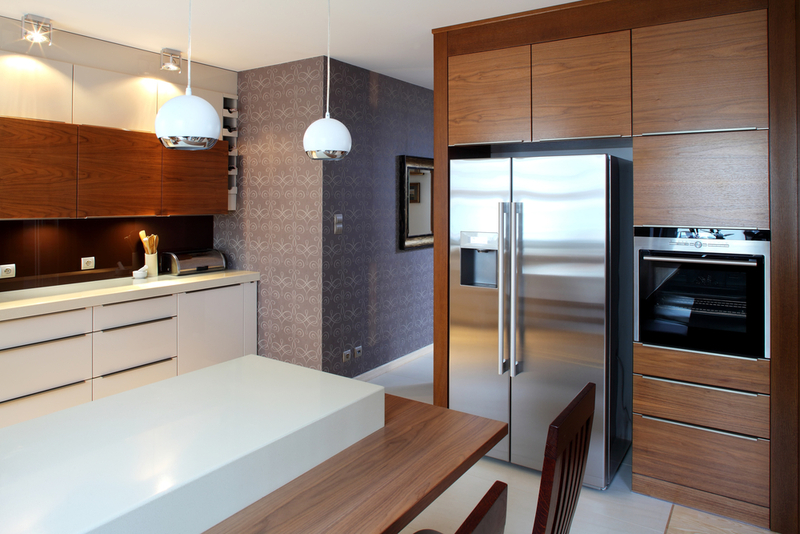 Gone are the days when wood usage in a house was limited to the kitchen cabinetry or cupboards in a room. Now, most of the traditionally designed modern houses in Pakistan prefer carrying a wooden ambiance by using it in a highly professional way. Be it, trimming, moldings, doors, cabinetry, staircase, ceilings, windows, walls or even the floors, you can see the usage of wood all around. Even the wooden stairs are considered more stylish, beautiful and useful. The types of wood which are commonly used to decorate the interior of a house include; Deodar, Peepul, Pine, Walnut Wood, Bamboo, Pertal, Keeal and many others. Some of the renowned timber wood suppliers in Pakistan like – Ittehad Timber Lahore also provide some imported species of wood like – Keal, Pertal, Ash, Red Meranti, Teak and Beach. The woods used for the interior of a house, usually come from two main classes of trees – hardwoods and softwoods; however, you need to pick each while considering its functionality and decorative perspective. A top modern interior designer in Pakistan would help you creating an artistic feel inside your house while using wood in a variety of ways. Again it depends either it is your kitchen cabinetry or the shelving of your bedroom or study room. For the cabinets which are going to be used excessively like the kitchen cabinets, you should choose hardwoods. For those, who are concerned about its high price, the better idea is to use hardwood just as facings over a substrate, such as plywood. Softwood structures alter with changing temperature and humidity in an area; therefore, make sure that all the sides are well-wrapped. Many of the experts suggest using Red Oak in cabinetry because it is relatively stronger, has high resistance and is economical to purchase from different timber wood suppliers in Pakistan. Pine, which falls in the category of softwood, is also used for the cabinetry. These days, the trend of hardwood floor is prevalent in Pakistan. This is not just limited to houses –instead the commercial buildings and offices are also using this type of floors to create a chic interior. When it comes to choosing wooden floors – the hardwood is purchased as first choice for its high durability; but softwood can also be used if the area is not used too frequently. When choosing a wood for your floor, you have to consider various things like –durability, easy installation and the price. Usually, Bamboo, Maple and Birch, Oak and Ash are commonly used for the flooring purposes. You can use any kind of wood for the staircase, especially the soft one is easier to be carved. To give a traditional touch to your stairs, you can engrave the softwood like pine in different designs and patterns to give them a more stylish look. Wooden stairs are useful in a way that you can create storage spaces in them by installing pull-in drawers in every step. For stairs, you can purchase walnut, bamboo or any other wood that is durable enough. If you want to use wood as the main article of interior designing in your house, you can use it in flooring, ceiling, cabinets, and windows and even on the walls. This kind of artistic work needs more careful interior designing, done by an experienced modern interior designer in Lahore.